If you're a game designer or developer, then you probably realize the importance of having a great website for your game. When visitors land on your web page, they will make a quick decision about the quality of your Games based on what they see on your site. In just a few seconds, they will decide whether to explore your games or move on to something else. Here are Top Seven (7) Secrets of How to Become a Professional Game Web Designer. Fluid grid concept - page elements sizing has to be settled in relative rather than absolute units (pixels and points). Flexible images - web page images must also be displayed in relative units in order to prevent them from flaunting outside the containing element. Media queries - permit the web page to use various CSS style rules according to the device's characteristics. You don't need the most sophisticated website design out there, but you do need something that will look good and catch people's attention. Use high-quality graphics from your game, including photos, drawings, and screen shots. 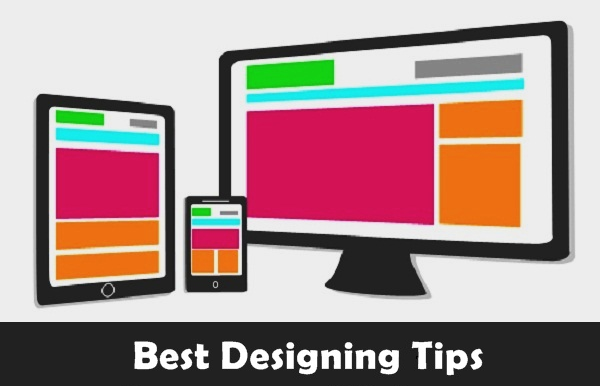 Then make sure the rest of your design fits well with these in terms of style. A website is meant to promote your game, so make sure it does that by providing as much entertaining and useful game-related content as you can. This could include game play descriptions, reviews of the game, articles with game tips and techniques, press releases, backstory for the game, or more. Make it engaging and interesting, so that visitors want to see more of the site, and also want to play your game. You don't want visitors to be confused when they land on your site, wondering from where they can get the relevant information or what they're supposed to click to get the desired result. Decide on the most important action you want visitors to take, and lead them in that direction. Make other information accessible via navigation that is easy to find and understand. If you have a good user base, then adding a forum for game players can be a great addition. This is one way to keep people coming back to your website regularly. Players can help each other out by sharing questions and tips in the forum, which is especially helpful for new players. It gives your game a more social aspect, by letting people connect with others playing the same game. It also shows site visitors that there is an active community of people playing your game, which could make them more likely to join in themselves. A great source for ideas and inspiration is to visit other game websites. See what your competitors are doing on their sites. Check out designs from big and small game companies, and keep notes on every element of other sites that you like, for possible inclusion in your own site. You're sure to get some great ideas. We recommended you to get inspiration and ideas from Mini Clip kind of online gaming websites. If you have original ideas for the design and layout of your gaming website, use them. However, try not to go overboard and keep things neat. If someone visits your site and spends more than 3 seconds understanding the layout, he won't come back. This means the design is too crowded and confusing. It's really important to have a simple top menu, as well as responsive features meant to appeal to your visitors. The key to creating a fabulous gaming website is to have good quality content, an easy-to-use interface, and responsive features. Social integration with Facebook and Twitter is equally important. Post periodic updates, stay active, and you'll win a lot of fans. When the design of a gaming website looks good, people will want to know more about what the discussed game is actually offering.